One of the little things a wife can do to build up her husband is to tell him how much she appreciates him. Words of Affirmation is one of the 5 love languages. Whether or not this particular love language is the primary one through which a person communicates, everyone needs to hear that they are loved and respected. This is especially true in a marriage. Knowing that I love and respect him is very important to my husband. When we were dating, Doug and I lived about an hour and half apart so much of our communication occurred on the phone and by email. Being able to communicate what we were thinking and feeling in writing was important to the development of our relationship. We got pretty good at having discussions and sending love letters to each other by email during the week. Now that we’re married, we don’t send emails as often since we talk every day, but we do make it a point to tell each other what we appreciate about each other on a regular basis. This has become a habit that we purposely cultivated in order to help keep us close. We also take time every once in a while to write out how we feel about each other, to formalize our love and respect for each other. In some cases, it’s an email. In some cases, it’s a homemade card or a little note in my husband’s lunch. But it is always designed to remind the other person how much they are loved and appreciated. The art of writing love notes isn’t at all hard to cultivate. It just takes a little effort and creativity. Here are some tips on making love notes memorable. I have written them from a wife’s perspective, but they can be used just as easily by husbands to their wives. Creativity in a love note says that you took the time to think about the other person. There’s nothing wrong with a pre-written message on a card, but it isn’t your thoughts or words. A personal note means so much more. I love you, my darling husband. I love my handsome man. My heart beats with love only for you. Don’t ever forget how much I love you. These types of variations are much more descriptive and emotional and can help set the mood for the note. I love the way you play with your daughter. I like your smile and the way it lights up your eyes. I appreciate you taking out the trash so that I don’t have to. I like it when you put your arms around me. Your hard work in providing for our family is greatly appreciated. I appreciate your honesty and your willingness to work out problems. I love it when you are protective of me. I like the way you take time to listen to me. I love the way you make me feel when you tell me I’m beautiful. Men tend to like terms of endearment that make them sound masculine. Compliment your husband with words that describe his good characteristics. Let him know you’re his biggest fan. This helps build him up and also helps to focus your attention on his strengths as well, making it easier for you to appreciate him. A little flirtation is an important addition to any love note between husbands and wives. Tell him how much you like him to pursue you. Add a little spice with some innuendo or hints. Your husband needs to know that you value the physical side of your relationship with him. You aren’t just friends, you’re lovers as well. It doesn’t have to be graphic (especially if you can’t be sure he’ll be the only one to see it), but telling him you like his touch on your skin or can’t get enough of his kisses lets him know that you appreciate him as your mate. These tips are things that I’ve found useful in writing love notes to my husband. It doesn’t take a lot of time to write a short note that lets your husband know how you feel about him and it can help keep your marriage strong. If you’ve never done it, try it. Linked up with WLWW, To Love, Honor and Vacuum, Yes They're All Ours, God's Most Precious, Warrior Wives, and The Alabaster Jar. I couldn't have said it better myself! Well done! Such a great post! My hubby and I use references to the 5 Love Languages with everyone, so this post fits a need. Thank you for spelling out the process so beautifully. Thanks for the comments! The 5 love languages are something that more couples should be aware of. Glad to hear that you are spreading the word. I hope you will find my suggestions helpful for communicating words of affirmation. Wow! This is a Great Post! I LOVE your suggestions!!! This goes so perfectly with what I'm trying to communicate in my Marriage Monday series!!! Thanks for stopping by! I am passionate about helping people have good marriages. It's always good to see what others have found helpful, and I like to share what I have discovered as well. Great advice especially for people who don't know where to start! My husband and I also had a long distance relationship for most of the time leading up to the wedding, and although it had its downsides (it was hard to get used to being around each other in person ALL THE TIME), we credit our good communication now to those days. Thought of something I wanted to add -- in this day and age, you can send your husband little love texts -- if you both have texting plans! We have lots of college age kids -- need I say more? :) texting becomes essential if you want to stay in touch with them! :) Why not use it to romance our husbands? Also, I wanted to share something my hubby does occassionally -- he gets into my lipstick and writes I LOVE YOU on the bathroom mirror! ;) Isnt't that sweet? 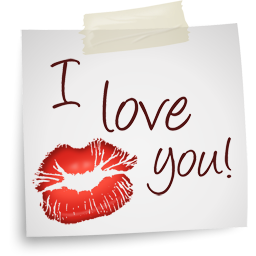 Yes, texting is a good idea as well and it's an easy and quick way to send a special love note to your spouse. Great comment. Thanks for visiting! What great suggestions! I try to leave notes in my husband's lunch box frequently... one of the small ways I say I love you.